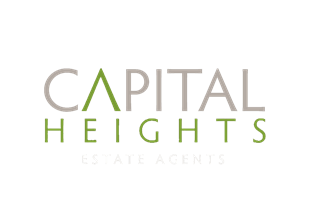 Whether you’re a first-time landlord looking to let out your former home, an experienced investor with a large portfolio, or an overseas owner looking to rent your London property, Capital Heights can help you find the best quality tenant in the shortest possible time. Having a realistic view on the rental of your property will help you advertise at a price that will maximise interest by potential tenants, and also ensure you’re getting the best offers. We’re based in the heart of the areas we serve, and have the local knowledge needed to give you a fair and accurate assessment of market rent for your property. Well-presented properties achieve higher market rent. It’s a good idea to ensure the place is tidy and presentable, and to fix any bits and pieces that might deter potential tenants. We have a list of handymen and tradesman available if you’d like some recommendations. Don’t forget that you’re legally required to have an Energy Performance Certificate and Gas Safety Certificate – we’d be happy to help arrange this for you (see our Fees and Terms for details). We’ll take professional photos, prepare floor plans, and list your property on the three major property portals: Rightmove, Zoopla and Prime Location as well as our website. We also have a list of potential tenants we will approach directly who are already interested in renting properties just like yours. We’ll work with you or your existing tenants to find the most convenient times for viewing. The more viewing times you have available, the greater the chance that we’ll find the right person for your property quickly. We make sure that anyone interested in renting your property completes a full, detailed application. Potential tenants are comprehensively screened by our partners at RENT4SURE [hyperlink to www.Rent4sure.co.uk], who send us an in-depth review of references, credit score, employment details and all the other indicators that help us determine if a tenant is suitable for one of our landlords’ properties. We’ll share this information with you, along with our recommendation. Once you’ve selected your preferred tenants, we’ll take care of everything right up until move-in day. First we’ll prepare a Tenancy Agreement, collect and register the deposit (we’re members of the Deposit Protection Scheme), inform the local authority of the change of tenant for council tax purposes, collect your first month’s rent, then organise an inventory, Gas Safety Certificate, and Energy Performance Certificate before finally handing over the keys. We also offer an ongoing rent collection service, which saves you the hassle of making sure the rent comes in on time every month and of chasing any late payments. Not interested in receiving phone calls at 3 in the morning from tenants who’ve locked themselves out of the property? We also offer a full property management service that gives you complete peace of mind.